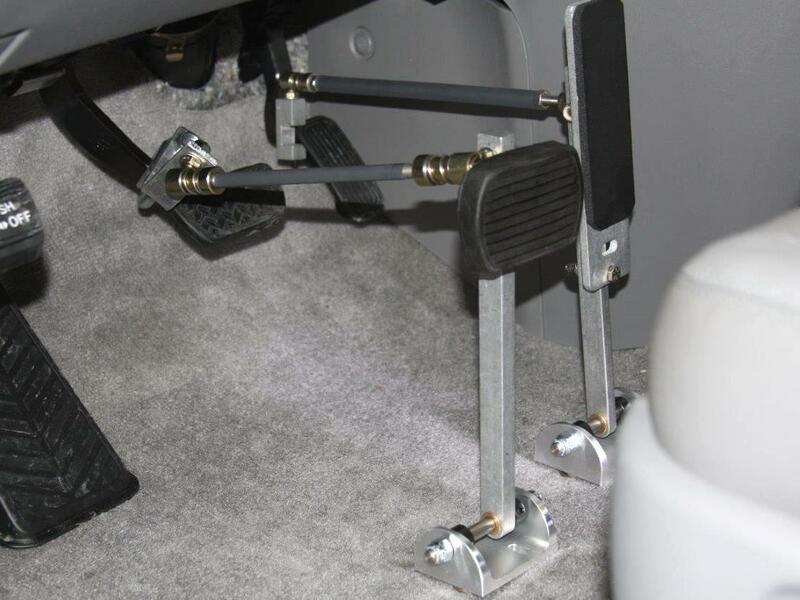 Drive-Master’s gas and brake pedal extensions adjust to allow 4″ to 12″ or longer if necessary of extended reach. 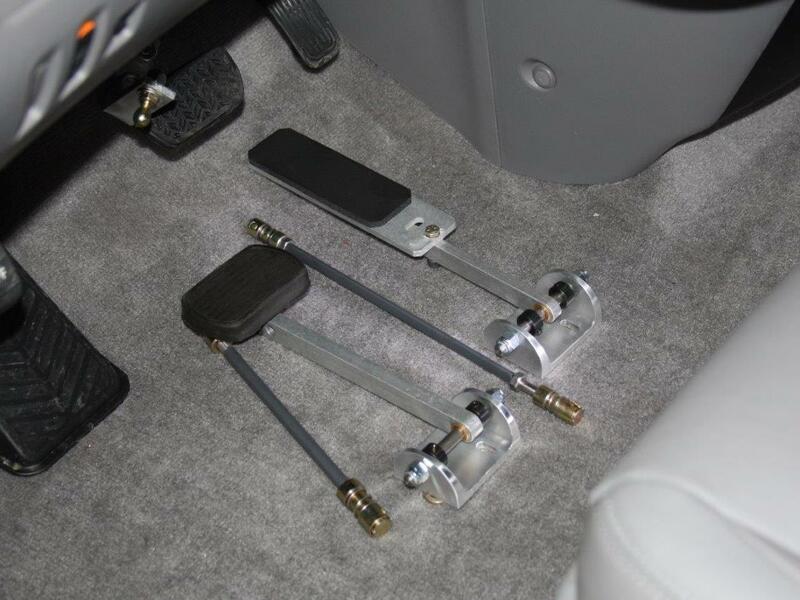 Made of durable lightweight aluminum and stainless steel, Drive-Master Pedal Extensions provide comfortable driving after installation. 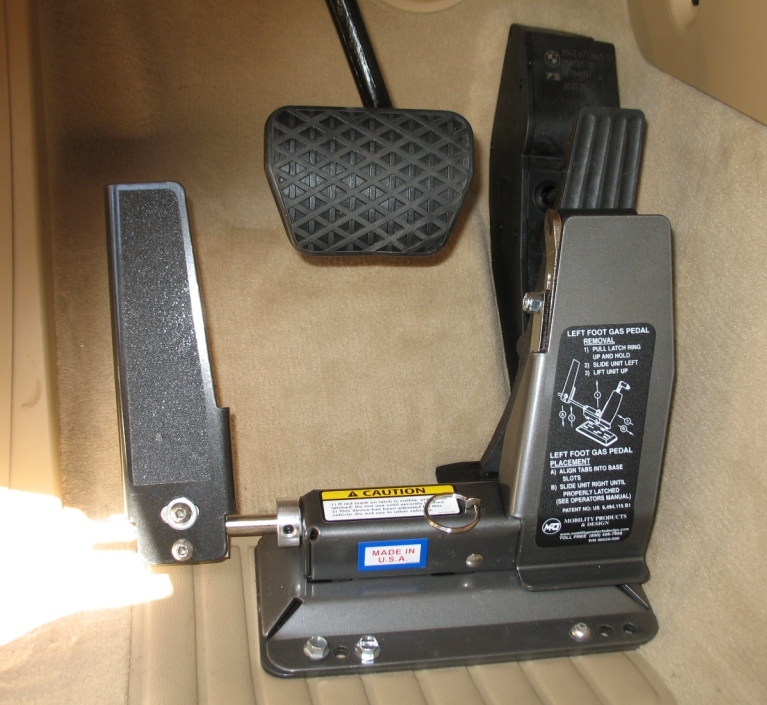 Drive-Master Pedal Extensions fold down out of the way to allow other persons to operate the vehicle. Pedal extensions must be installed by authorized dealers. They fit most American cars and vans. Call now for more information on price and available appointment times. Photos to the right demonstrate Drive-Master Pedal Extension’s fully operable and out of the way positions. Drive-Master carries a full line of custom gas, brake, and clutch pedal extensions for all driver’s needs.